Portland Water District protects Sebago Lake’s water quality through various programs, many of which are strengthened through partnerships. 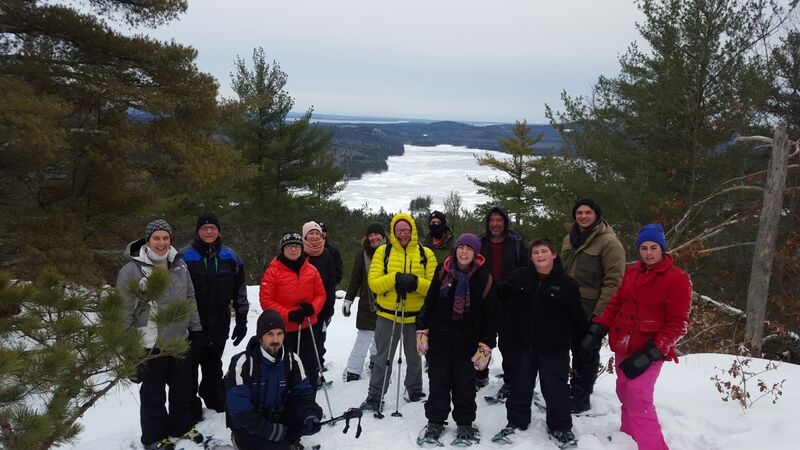 Join PWD, Loon Echo Land Trust (LELT), Lakes Environmental Association (LEA), and Maine Inland Fisheries and Wildlife (MDIFW) for a fascinating snowshoe and talk along the banks of the Crooked River in Harrison. Guests will have an opportunity to meet with experts that partner in land and water protection in the northern Sebago Lake region and discuss the positive impact of their work. The Crooked River Forest at Intervale is a wonderful parcel, offering abundant hunting, fishing, and backwoods recreational opportunities as well as water quality protection. This will be a moderately difficult snowshoe, dependent upon new snowfall amounts. Snowshoes or traction devices will be required. A limited number of snowshoes are available to borrow on a first-come, first-served basis and can be reserved when registering. Directions to the property will be provided upon registration. Please register by February 21st to join us on this fun and educational event!